as promised last time a little introduction to our brewery portal for the professional brewer. We will share more details in the next updates. 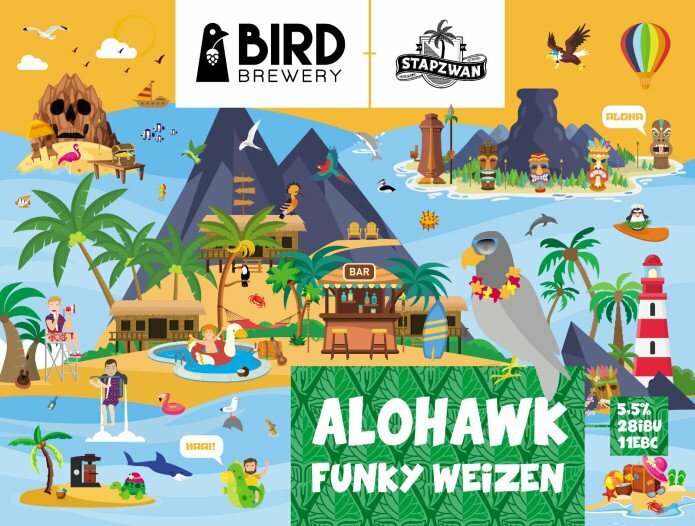 Besides - you can now get the MiniBrew Collabs Winning Beer - the Alohawk Funky Weizen from Bird Brewery and Stapzwan in more than 100 Jumbo Supermarket outlets in the Netherlands - and this weekend at Cafe de Zaak in Utrecht on tap. So if you would like to taste some MiniBrew Beer - see you this Saturday 16.06.2018 between 3 - 6 pm in Utrecht at Cafe de Zaak. P.S. The team is currently preparing to fly back to our factory in the next 2 weeks for the first Pilot Production! ---> Meaning TUV certified and fully working MiniBrews! !